What is the TEF Entrepreneurship Programme? We have provided training, mentoring and funding to 2000 African start-ups from 53 African countries, selected from over 65,000 applications. We have invested over $13 million, of which $10 million have gone directly to the entrepreneurs as seed capital. We have staged the largest gathering of African entrepreneurs in Lagos, Nigeria. We have travelled across Africa with Founder, Tony Elumelu, introducing the TEF entrepreneurs to their political leaders at the highest levels of government, to bring these entrepreneurs and their challenges to the attention of policymakers who can effect changes that will improve the enabling environment, for not just TEF entrepreneurs but for all entrepreneurs in the respective countries. We have facilitated TEF entrepreneurs with setting up Alumni Country Chapters and Networks across the 51 African countries. The Foundation has leveraged its access to unique data, to produce original reports to support advocacy agenda to improve the ecosystem for African entrepreneurs: Unleashing Africa’s Entrepreneurs: Improving the Enabling Environment for Start-ups; Africans Investing in Africa, collaborated with University of Edinburgh to produce a report on Africapitalism and a Teaching Case Study is being developed by the Bertha Centre, University of Cape Town on the Foundation and its programme. 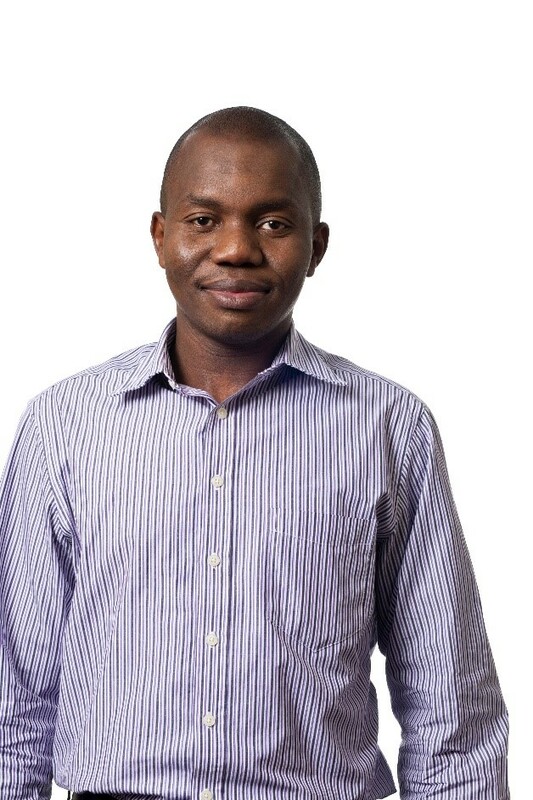 TEF is the founding member of SPARK, launched by President Obama in May 2015 at the White House to promote global entrepreneurship and presented TEF at global entrepreneurship forums: MassChallenge UK launch Feb; Global Entrepreneurship Congress Milan, March; Oxford University African Business Conference, Cambridge African Entrepreneurship Conference; to name a few. The Foundation has signed several strategic partnerships including: an MOU with the Nigerian Ministry for Information and Culture to invigorate the Nigerian Creative Industries; ECOWAS; International Trade Centre; Africa Development Bank, Microsoft to name but a few. We have built Africa’s largest online platform the TEF Hub, which is the go-to destination for African entrepreneurs. What are the 7 pillars of TEF ENTREPRENEURSHIP PROGRAMME? The pillars have been designed to address the essential needs to ensure success for an African entrepreneur. Why does funding not come first? We believe that it is important for the TEF entrepreneurs to build a firm foundation for their businesses through mentorship, as well as the learning and networking tools provided by the Foundation. That way, when we do give them funding, they will be able to use the tools they have learned to put it to better use and maximise the benefits for their business. The programme is open to all citizens and legal residents of any one of the 54 African countries. The proposed business must be registered and operate in Africa. Is there an age restriction for applicants? Yes. Applicants must be 18 years old and must not be considered a minor in their country of residence. There is no upper-limit age restriction. Is there a restriction on the types of business/industry? Yes. The programme is not open to research institutions, faith based organisations, value adding trading companies, government contractors and businesses not located in Africa. Businesses must not adversely affect the environment, lives and property. Business ideas must be for profit, and must be the original work of those making the submission. Is there a restriction on the age of my business? Yes. All businesses must be business ideas or an early stage company, in the range of 0 to 3 years old. What if I run multiple early-stage businesses? Your application must focus on ONE business only. We advise choosing your best, most feasible/innovative business idea. Selected entrepreneurs are not permitted to apply for future cohorts of the programme, even with a different business idea or name. Will my start-up be excluded if I have a relation/family member who works for the TEF? Yes. Current employees or their family members from the Tony Elumelu Foundation and affiliate companies in the Heirs Holdings Group and UBA Group are not eligible to apply for the TEF Entrepreneurship Programme, either individually or as part of a team. How do I apply for the programme? All applications must be submitted ONLINE through the application platform of the TEF Hub . You must complete an application form by answering a series of mandatory questions. After submission, you will receive a confirmation email of receipt within 1 working day. What if my company is a partnership? Only one nominated person from the business or the partnership may join the programme. You must have consent from all partners, and have and equal or majority share to participate. No. All applications must be submitted online through the TEF Hub only. The application form is in English, French and Portuguese. What are the important dates and deadlines that I need to be aware of for the application? The TEF Hub application platform is open from midnight on 1st January, to midnight on 1st March. It will not be possible to submit any applications prior to or after these dates. What information/identification do I need to provide in my application? You must answer all the mandatory questions in the application form, and provide accurate and up-to-date information. How many applicants will be chosen to join the programme? 8. Are there application/associated fees? No. The Tony Elumelu Foundation does not charge any applicants a fee for applying to the programme. How are selected applicants chosen to join the programme? Selection of the applicants will take place from the close of the Application on March 1st, by the Tony Elumelu Foundation and an independent Selection Committee appointed by the Foundation, against the specified selection criteria. By what criteria are the applicants to be judged? Feasibility of the business idea. Market Opportunity: knowledge and understanding of the market, customers and competitors for their idea/business. Financial Understanding: understanding of the basic financial requirements of running a business, costs and revenues. Scalability: Demonstrates potential for replication and growth of their product or service to create jobs and wealth. Leadership Potential and Entrepreneurial Skills: Demonstrate leadership potential, capable of attracting people, customers and resources. The Tony Elumelu Foundation itself is located in Nigeria, does this give preference to Nigerian entrepreneurs? No. The TEF Entrepreneurship Programme is a Pan-African programme and open to business ideas from all the 54 African countries from which we will select the best business ideas for the programme. If my start-up is selected to join the programme, when and how will I be informed? Successful applicants will be notified on the 22nd of March, via the email address designated in the initial application. The list of selected entrepreneurs will also be posted on the TEF Website. What additional information must I supply once my business is selected? You scored low in one or more of the selection criteria. How can I improve my chances next year? Ensure that you review the selection criteria in the next programme cycle and be sure to describe your business plan or idea such that every aspect of the business or idea (i.e. description, market, customer acquisition, financials etc.) is fully covered. Is there a waiting list for Applicants who could join the programme? Yes there is a waiting list. If any of the selected 1000 do not claim their places by the set deadline, the next best entrepreneur from the waiting list will be chosen before commencement of the programme cycle. If not selected, can I reapply in another programme cycle? Yes. We will open the platform for applications on January 1 every year. Each applicant will be required to put in a fresh application. We believe the elapsed time should serve to refresh your interest in your entrepreneurial objectives, and there might be new developments to include in the application. Who are the TEF ENTREPRENEURSHIP PROGRAMME mentors? The TEF Entrepreneurship Programme Mentors are highly experienced professionals, business frontrunners and entrepreneurs with vast knowledge and excellence in their fields, who want to help the next generation of African entrepreneurs. How do I become a TEF ENTREPRENEURSHIP PROGRAMME mentor/how can I volunteer my services as an experienced entrepreneur? Experienced entrepreneurs and business leaders who want to volunteer as TEF Entrepreneurship Programme mentors, can apply here. When do I get a mentor? All successful applicants will be matched with a mentor from the start of the programme 1st May until the end of the year/cycle. Can I choose my own mentor/mentee? No. Mentors will be assigned to each start-up by the TEF team. Mentors will be assigned based on compatibility criteria such as business/industry experience and country. Will the mentorship relationship be one-to-one? Each start-up mentee will have one assigned mentor, although each mentor may have more than one start-up to work with. Mentors will be expected to have a minimum number of contact hours with each start-up mentee. What is the mentor’s role in my business? The mentor’s role is to use their vast business knowledge and experience help you succeed in completing the 12-week start-up enterprise toolkit programme, tackle real-life business obstacles and help you to improve your business along the way. Do I have the same mentor for the entire programme? Yes. But you will also be able to engage with other entrepreneurs, alumni and mentors on the TEF Hub. Can I retain the mentorship relationship outside and beyond the programme? The majority of the mentoring engagement will occur on the TEF Hub. However, if relating externally is in the best interest of your business, it can be coordinated between yourself and your mentor. How can my business qualify for funding? Upon completion of the 12-week Start-up Enterprise Toolkit (learning) programme, certification of submitted business plan, provision of required documentation, business bank account, among other requirements, entrepreneurs will qualify for the first stage non-refundable seed capital of $5,000 (terms and conditions apply). First stage seed capital funding of $5,000 (based on the official Central Bank of Nigeria exchange rate)– a non-returnable investment. Please see Terms and Conditions for clarification. Second stage capital returnable investment – entrepreneurs will apply and be considered for this based on the viability of their business. Is the initial seed capital amount a fixed sum? Yes. The initial seed capital funding is fixed at $5,000. How will the funds be dispersed? The funds will be wired directly into the entrepreneur's business bank account - personal accounts are not permissible. For those in UBA countries, the business account must be opened with UBA. Can I complete the Start-up Enterprise Toolkit courses offline? Yes. It is important to note that although all the course material is hosted on the TEF Hub, all assignments are practical (live learning). You can download the content and refer to it offline. You must, however, submit the tasks on the TEF Hub and they must be reviewed by your mentor. Are all the courses/tasks in the Start-Up Enterprise Toolkit compulsory? Yes. Start-ups must complete all tasks in the 12-week programme. Will the Start-Up Enterprise Toolkit be relevant to my business model? Yes. All the topics covered under the Start-Up Enterprise Toolkit will be relevant to helping you improve your knowledge and practical business skills, no matter the industry. Will the Start-Up Enterprise Toolkit be suited to my schedule? Yes. Each week you will be given tasks to complete which are applicable to the day-to-day running of your business. How do I get access to the Mentoring and Learning platform of the TEF Hub? Selected entrepreneurs will be given a user name and password with which they can log into the TEF Hub. What can I do on the TEF Hub? The entire programme is hosted on the TEF Hub. Your engagement with your mentor and other entrepreneurs is done on the TEF Hub through one-to-one messaging, forums and live chats. The Start-up Enterprise Toolkit learning programme is also hosted on the hub. You will have access to our curated online resources library of case studies, sample business plans, research documents, video presentations, and you can also communicate with members of the TEF Alumni Network. Can I sign in with my social media accounts? Yes. The TEF Hub application platform has a single sign-on functionality and can link with your LinkedIn or Facebook account. Is the TEF Hub mobile-friendly? Yes. The TEF Hub is accessible on your smartphones and tablets. The name, country and profile of each successful applicant will be made available for PR purposes globally. Each individual will be asked to provide a profile and photo once they join the programme. Who can access/view my profile on the TEF Hub? The TEF Hub is a closed group, accessible only to the selected start-ups, mentors, alumni, the TEF team and selected partner organisations. Only those within this closed community will be able to view your profile and contact you on the TEF Hub. Will my business’ Intellectual Property be protected? All information housed on the TEF Hub is considered safe and secure. Intellectual property shared with the Foundation in your application is completely confidential, and only shared amongst the TEF team, designated reviewers and the Selection Committee who have signed confidentiality agreements. All parties in the programme are held to the highest ethical standards, however, the foundation is not liable for copyright infringement or intellectual property theft among entrepreneurs and mentors. Any individuals found to be in breach of this will be disqualified. How can I contact representatives of the Foundation? How do I stay connected to the Foundation even after I have concluded the programme? All entrepreneurs who have successfully completed the TEF Entrepreneurship Programme and collected their initial seed capital are automatically enrolled as members of the TEF Alumni Network. What are the benefits of the TEF Alumni Network? As a member of the TEF Alumni Network, you will have continued access to the TEF Hub through “alumni” status (not start-up status). This gives you full access to our online resource library, peer to peer engagement, online and offline events notification and continued affiliation with the Foundation. What happens if there are changes to my business model during the programme? Applicants are solely responsible for the structure of the business and the team members within it. Once selected to join the programme, entrepreneurs’ businesses cannot be significantly altered or amended. How much time must I dedicate to the programme? Selected and confirmed entrepreneurs must be available to commit to the annual programme from May to December in the application year. Is attendance at the TEF Entrepreneurship Forum mandatory? Yes. All selected entrepreneurs must attend the TEF Entrepreneurship Forum in order to remain on the programme. Extenuating circumstances may be considered for non-attendance. Will I need to fund my travel expenses to attend the TEF Entrepreneurship Forum? Selected entrepreneurs travel to Nigeria for participation in the TEF Entrepreneurship Forum will be covered by the Tony Elumelu Foundation. The Foundation will advise entrepreneurs if this changes. Mentors who are invited will be required to fund their own travel, unless otherwise agreed. What if I require a visa to enter Nigeria for the TEF Entrepreneurship Forum? The Tony Elumelu Foundation will provide an endorsement letter and supporting documentation (copy of flight booking, etc.) to make the process of obtaining a visa as smooth as possible.